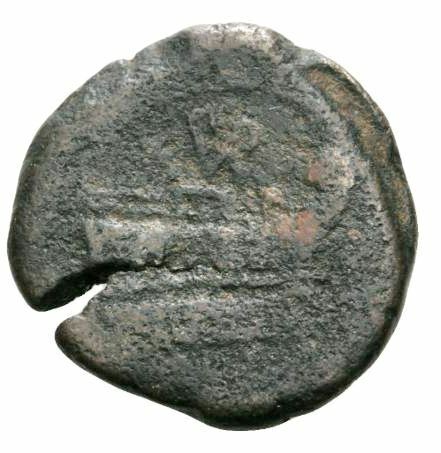 L. Furius Purpureo was one of the moneyers for the year 179-170 BC. He is apparently not the same persion as the Furius Purpurio who struck coins a decade later. The cognomina of this gens are Aculeo, Bibaculus, Brocchus, Camillus, Crassipes, Fusus, Luscus, Medullinus, Pacilus, Philus, and Purpureo. The only cognomina that occur on coins are Brocchus, Crassipes, Philus, and Purpureo. Purpureo, "rosy", probably referred to a person's complexion.